Items purchased from (Talize) local thrift store during their 50%off select colour tags sale. Overalls: Check out my tutorial on how I created overalls with 2 pairs of jeans. Have you done a DIY costume? 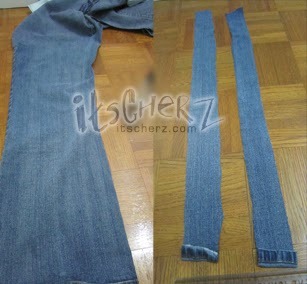 #itsCherzDIY Creating overalls with two pairs of jeans. Yes, 2! 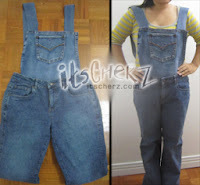 Personally I find it quite difficult to find overalls. 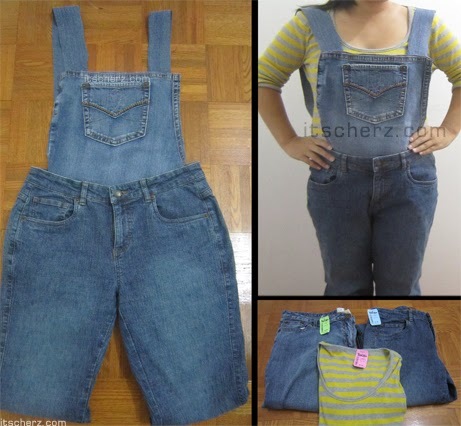 Sure I can visit my local workwear store or hope overalls are back in stock and style (again). Of course I wanted to create something that was versatile without breaking my wallet. Note: Items used in this tutorial were purchased on my own from a local thrift shop and dollar store. You can start with jeans you currently own and work with adding in the overall part. Do what you feel comfortable with. Take JEANS Y back pockets facing up. Cut JEANS Y (Photo: see green lines). Using the marker: Mark where you'd like to place the velcro. Don't worry if you make mistakes this will be all inside JEANS X. Total of 4 marks, 2 back, 2 front. Add the back straps to JEANS X, leaving strap ends hanging. Once jeans are on, tuck/attach overall chest. Taking the strap ends hanging from your back, attach to overall chest.